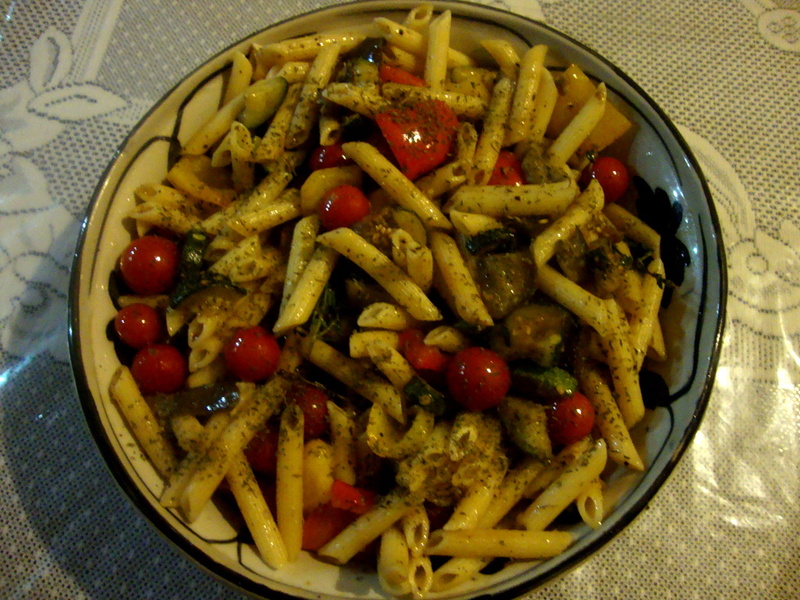 Pasta is something I simply love… It is so so easy to cook, whole some. You get your carb supply.. The mix of herbs and olive oil just peps up my appetite..
My love for Pasta actually knows no bound and i can pretty much live on them..
Mum often says I must have been an Italian in my last birth.. quite possible actually..
Preheat the oven to about 170 degrees. Take a roasting tin. Put in all the vegetables drizzle with generous quantity of olive oil and salt to taste.. Add the fresh oregano and leave it to roast for about 20-25 mins, by then the aubergine and courgette should have softened and cooked properly.. In a separate pan boil water for pasta with olive oil and pasta.. add 2and a half cups of pasta for 3 people.. boil it well.. set aside.. once the vegetables are ready.. Take a serving bowl, mix the vegetables with Pasta, add freshly ground pepper, olive oil and freshly chopped parsley.. 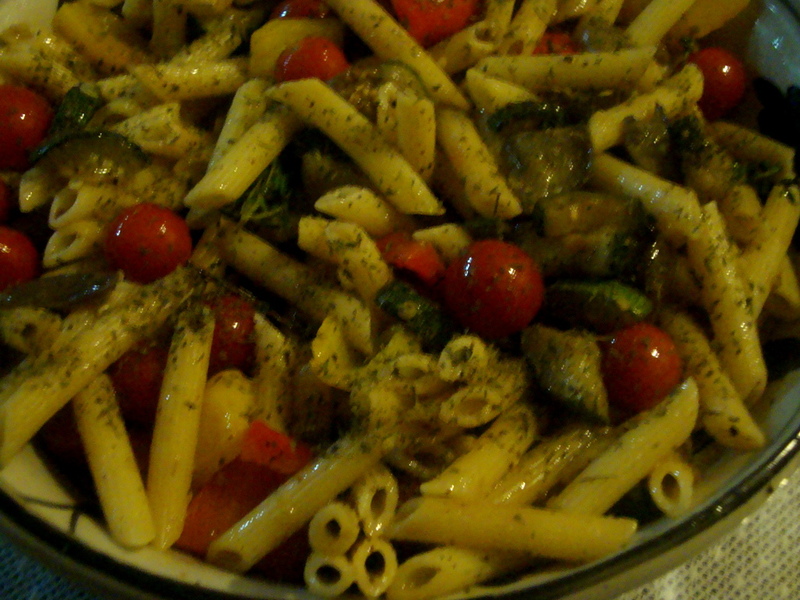 There you are your pasta veges is ready ..